It’s more than a month now that I’ve been wanting to write a series of posts about chickpeas, because it is amazing how many different tasty recipes you can get from them. 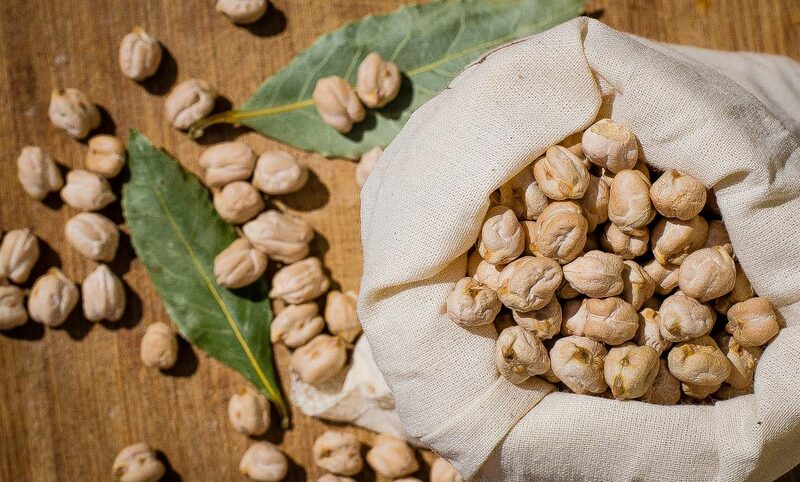 Italian traditional cuisine uses dried legumes a lot. They are often presented as a “piatto della salute” (literally “dish of health” meaning a plate containing health, on the table)! Well I must admit that, even if they were healthy, I’ve always hated legumes as a kid! But once a week at minimum there was a soup with beans, chickpeas, lentils and so on for dinner! I had to eat it anyway because that was the law of the house (often they would puree them for me and it was pleasant enough). I think I didn’t like the fact that they were in a soup mainly…but anyway I am glad to say that I have outgrown this hostility and embraced the little species, always exploring and appreciating all the different ways I can enjoy them! In Tuscany a good number of bakeries still have wood fired ovens and they slowly cook legumes in terracotta pots directly in the oven, taking advantage of the natural heating used for the bread. Last summer we visited some friends in Prato and every day we used to go to the Panificio del Duomo, where they have been cooking legumes in terracotta pots, in the same way, for more than 70 years (if you go there, do not forget to try their “bozza pratese,” their “schiacciata” and their “pane salato” too). You can simply go to the bakery and ask for your fresh cooked chickpeas or beans with all their delicious cooking stock and use them for whatever recipe you have in mind. I know you could simply open a can. But believe me it is not the same! And with this I don’t mean to judge at all: I use tinned legumes myself when in need. But I guess mine is a matter of culinary culture: as I said dried legumes are used a lot in Italy. Maybe because we grow them and therefore we let them dry to be able to use them in the winter. 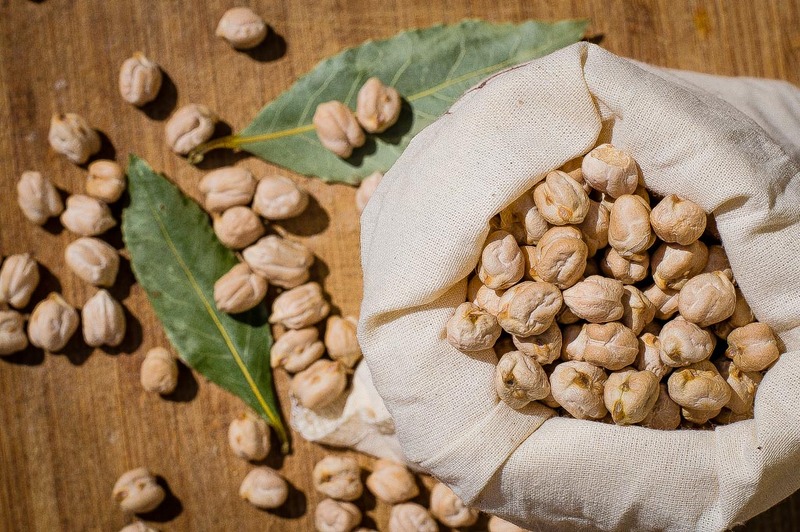 Imagine that when we lived in Rome it was very common to find, in the many street food markets, already soaked chickpeas, ready to be cooked on the day. I know cooking legumes takes a long time, but the only limit is the time because the cooking process does not require your attention at all. You just have to remember to soak them and to calculate the time needed for them to simmer. I usually cook a kilo of chickpeas and with them I make chickpeas and pasta, roasted chickpeas, hummus and falafel. Sometimes instead of roasted we enjoy the chickpeas simply with extra virgin olive oil and salt. Delicious. Place a kilo of dry chickpeas in very large salad bowl and fill it with water to the brim. Let them soak for a night or even for more changing the water when you remember (of course you don’t need to wake up during the night). When it is time to cook them drain them and place them in a pot. Cover with water 3 cm above the chickpeas. Add one bayleaf, salt and, if you have it, one kombu seaweed. Let them simmer for as long as they are tender. I have a pressure pot and it takes me 1 hour and a half from the whistle. Remember to lower the flame after the whistle. In a normal pot it should take the double of the time. In this case remember to put a little bit more water or to check that it doesn’t dry. Another great way of preparing them, they tell me,is in a slow cooker, I don’t possess one but I am gonna ask a friend to lend me one and I will try! At this point I usually use the amount I need straight away and I store the rest in the fridge once cooled, together with the water they cooked in. Sometimes I divided them already in different container for the different uses. Wow! Fantastic! You ‘ll have to tell me what made you change your mind!